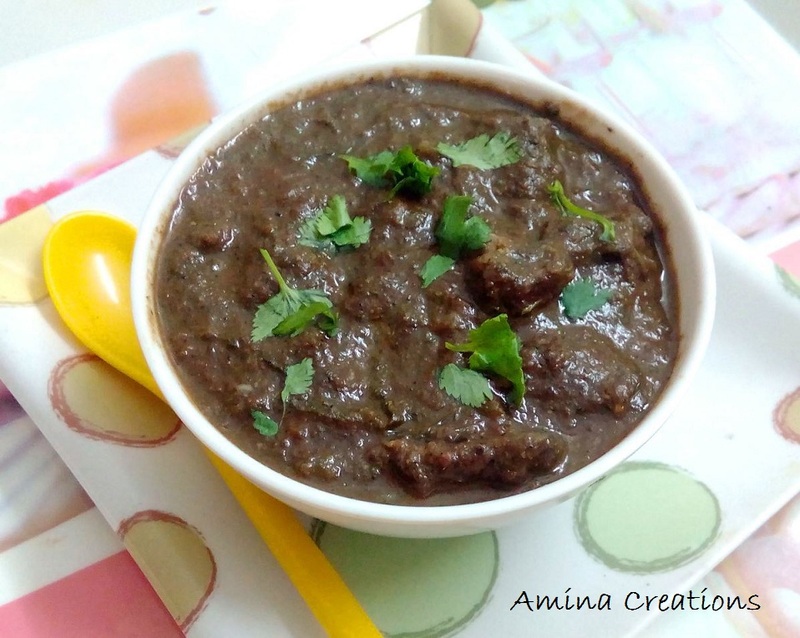 Goat spleen or Tilli (hindi) or Manneral (Tamil) is known for its health benefits and hence is often used in Indian cooking. It helps in increasing haemoglobin and hence is also recommended for pregnant women. 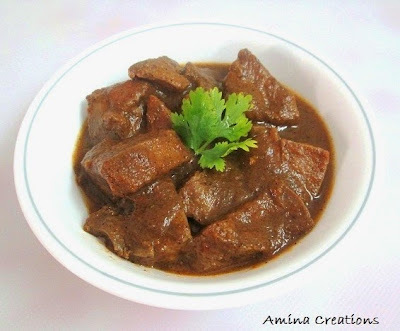 Goat spleen curry is a delicious and flavourful curry and is one of my favourite curries. We usually serve this with white rice or roti. 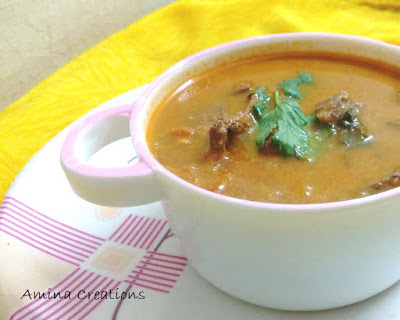 Just make this goat spleen curry once and I am sure you will become a fan of it. Saute till the onions turn golden and then add ginger garlic paste. Saute for a few seconds till the raw smell goes and then add salt, pepper powder and cumin powder. Mix well and add the tomato puree. Cook for a few minutes till the raw smell of tomatoes goes and oil starts leaving the surface. Now add goat spleen (tilli), coriander leaves and water and bring to a boil. Close a lid, reduce heat and cook for 10 to 15 minutes till the goat spleen is cooked. Add lime juice and cook for a couple of minutes. Transfer to a serving bowl and serve hot with white rice or roti.